Store Českobrodska 566, Praha 9, 19800 22.04. Instructions for use: Colors are intended for coloring models and other hobby use. Before mixing, mix the color well. Apply with a brush or spraying on a dry, clean surface. Drying time: Touch for 20 minutes, new coating can be applied after 4 hours, complete drying after 24 hours (according to layer thickness). For spraying, it is recommended to dilute a maximum of 3 parts of paint: 2 parts Revell Color Mix. 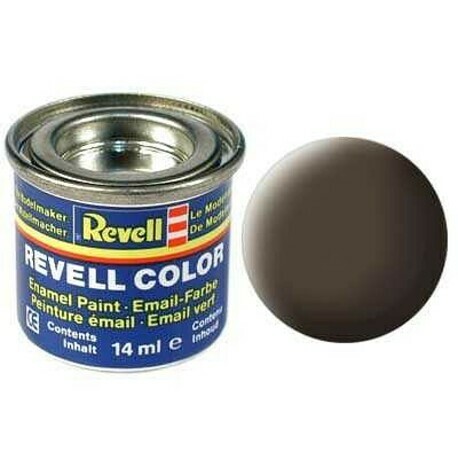 By using a thinner of another brand, the quality of this paint is reduced. The surface is recommended to be sprayed with Revell Basic Color Primer before painting. Brush cleaning is recommended to use Revell Paint Clean and to clean the Revell Airbrush Clean. Read and save. Warning! Flammable liquid and vapors. May cause drowsiness or dizziness. Repeated exposure may cause skin dryness or cracking. If medical assistance is required, keep the packaging or product label at your fingertips. Keep out of the reach of children. Read the label information before use. Protect from heat / sparks / open flame / hot surfaces. - No smoking. Store locked. Dispose of the contents / container in accordance with local / regional / national / international regulations . Caution! Not suitable for children under 8 years of age. Children may only use the product under the supervision of an adult. This product is not a toy."